THESE NEWCOMERS ARE DIFFERENT. THEY WILL CHANGE EVERYTHING. For fans of The Essex Serpent and The Mermaid and Mrs Hancock. ‘By far my favourite book of of the year’ Guardian ‘One of only two novels I've ever loved whose main characters are not human’ Barbara Kingsolver One cold night, two newcomers emerge onto the streets of 1899 New York, and it is never the same again. But these two are more than strangers to this land, they are strangers to this world. 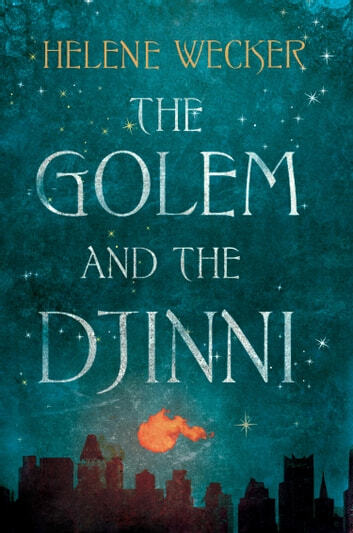 From the depths of folkloric history come Chava the golem, a creature made of clay, brought to life by a disgraced rabbi and Ahmad, a djinni, born in the ancient Syrian desert and trapped in an old copper flask released accidentally by a tinsmith in a Lower Manhattan shop. Two companions who were never meant to be released, and never meant to meet. And when they do, their opposing natures will be sealed by a special bond, but one that is threatened by watching eyes, roaming owners and a misunderstanding world. 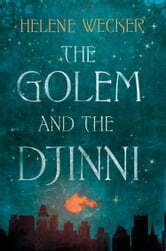 A glittering gem of a novel, as spell-binding as it is compelling, The Golem and The Djinni asks us what we’re made of and how we can break free. A novel like an unexpected encounter with an enigmatic stranger, whom you slowly get to know and then suddenly deeply care about. When it is time to say your good-byes, you can still feel his warm hug lingering for some time.